Dr. Freidson was frustrated with having his patients leave his office pain free only to have the effects of his treatment lost due to improper ergonomics at their workplace. 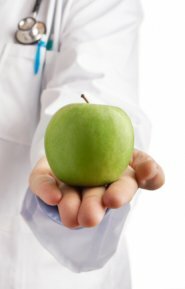 He was also discouraged by seeing his patients healing take longer due to poor dietary, exercise, and lifestyle habits. Thus was born Work Smart Solutions, LLC. Mission statement for Work Smart Solutions, LLC: Our mission is to help businesses save money and increase productivity by providing ergonomic, and health & wellness consulting services.